NEW YORK: To support the 17 Sustainable Development Goals defined by the United Nations, the International Institute of Corporate Sustainability and Responsibility (IICSR) in association with Global Impact Alliance organized their first roundtable – Creating the Future: 101 at Columbia University in the city of New York. The focus of the gathering was on the UN SDG 4 – Quality Education which was led by Vidya Bharti Education Trust – the largest private network of schools in India with 17,000+ school, 3.5 million children and presence across the villages of India. 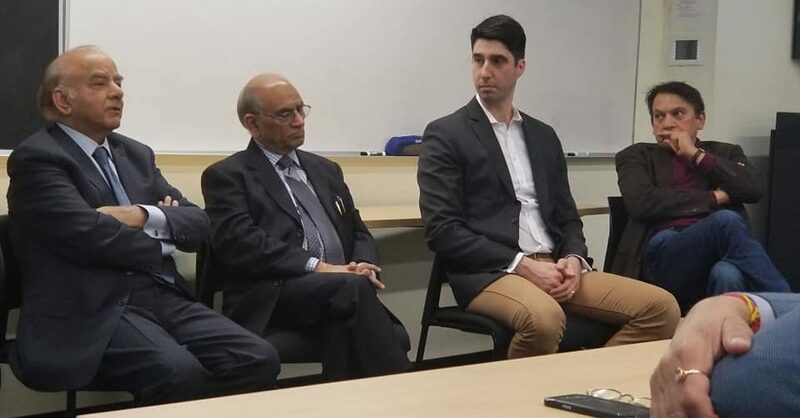 Dr. Yashpal Arya, Head of Vidyabharti in New York State and Dr. Nirmal Mattoo, Board member of Vidyabharti led the discussion. They shared the challenges faced in emerging countries with respect to educating the future generations and Vidya Bharti’s solution to address them. Kevin Bogdanov, of Brighter Children – emphasized the challenges of implementing various policies in the education system while Satish Jha, the founder of the One Laptop per child (OLPC) initiative in India and Vidya Bharti, USA, emphasized on transforming our education system by focusing on learning Learning. Contributions to the UN SDG 3 – Good Health and Well-being was highlighted by Kanchan Banerjee, co-founder of the Boston Center of Excellence for Health and Human Development (BoCE) – a pioneering integrated medicine healthcare organization. BoCE has partnerships with Harvard Medical school and 25 other leading universities including Ivy Leagues across the world. Harsha Mukherjee, Managing Director – IICSR, emphasized on individual social responsibility, shared values and sustainable economy by means of impact investments. International Institute of Corporate Sustainability and Responsibility (www.iicsr.com) is a USA-based institute to render information, advisory and consultative services on CSR, quality and sustainable development to industry, business and the government. IICSR organizes roundtables, summits for the industry for the exchange of knowledge, networking and acknowledging the best practices. International Institute of CSR is an institute which imparts core and sustainable skills training for the workforce in a company. We train minds in sector-specific skills from first level manager to senior directors and CEOs. Mumbai – 400 023, India. © Copyright IICSR. All Right Reserved.